Buying salvage cars for sale at auctions is a great way to save money if you are looking for a cheap repairable car or car parts. By searching auctions cars for the one that you want and one that fits in your budget involves other costs that you need to keep in mind before you click that “BID” button. If you are buying a salvage car for auction that you want to repair and drive, you want to make sure that you get it inspected before you place a bid. Depending on the location of the auction cars, you can contact Copart and arrange to inspect the cars for sale yourself, or use the helpful link to vehicle inspectors in the area on SalvageAutosAuction.com. Remember that you will have to pay the inspector before you are issued a condition report. Obviously, it costs nothing for you to inspect cars at auction yourself, other than the gas it takes to travel to the location. This brings us to another important point; make sure you know the location of the cars auto auction. It makes no difference if the vehicles runs or drives; the auction will NOT allow you to drive it off their property. You will either need to arrange for a tow or other form of transport to get the vehicle to where you require it. This is the point where you need to make sure the used cars cost is not going over your budget. You need to consider the price of the vehicle, the cost of inspection, administrative fees and transportation costs. When you are searching for cars on auctions from Copart at SalvageAutosAuction.com, if you want to keep your cost down, you have the option to search for vehicles by location. The closer the used cars are to where you live, you will not have to pay for an inspection, and you may only have to pay for a local tow. Copart has 100s of locations across the country, so there is more than likely an auction for cars within a reasonable distance from your home. 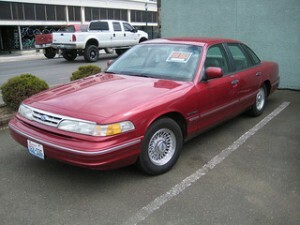 In the case you are buying a salvage car for parts only, you want to be able to save the most money you can. However, do keep in mind that if you do purchase a salvage car at one of Copart’s car auctions, you can sell the “leftovers” once you have all the parts you needed, so you will be able to recoup some of your cost, so initially you may be able to spend a little more.